Cleair Aquatics Ltd. is North America’s high-end supplier of high quality salt water aquariums and fresh water aquariums. 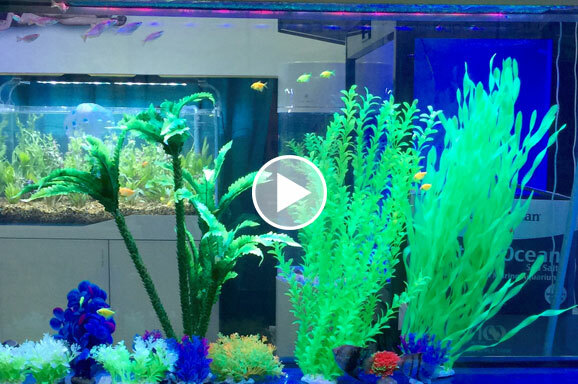 Our mission is to provide a breathtaking visual experience with superior acrylic and glass aquariums for your home or business. These aquariums are the perfect choice for freshwater, marine, reef or planted aquarium setups. Each Cleair aquarium model comes complete with generously sized built-in filtration to keep your water quality in pristine condition. 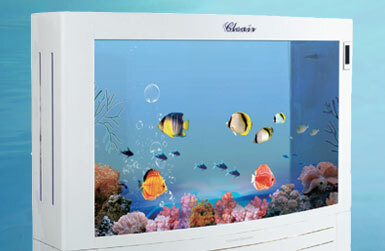 Cleair Aquariums come with the clearest glass and acrylics for spectacular tank visibility. Our pumps and filtration equipment is top of the line. Our hand made cabinets will look great in even the highest end home. Every aquarium from Cleair comes with all the parts you need and step-by-step instructions for easy setup. Our filtration systems are more than enough for your aquarium. This means a cleaner tank and more time watching your fish than cleaning the tank. Our superior deisgn should provide you a lifetime of viewing pleasure. However, know you are fully protected. All our acrylic aquariums come with a warranty against leakage. Cleair offers aquarium designs for your home or your business. Check out our many models and sizes of tanks we offer. We don't just say we have great aquariums for sale - we prove it. We've got international awards to show for it . 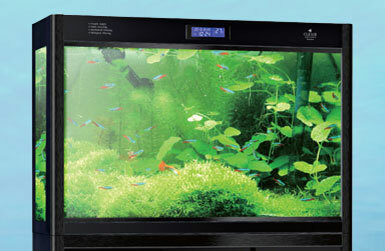 Experience the beauty of a salt water aquarium or a fresh water aquarium without any of the work. (well you will have to feed your fish). 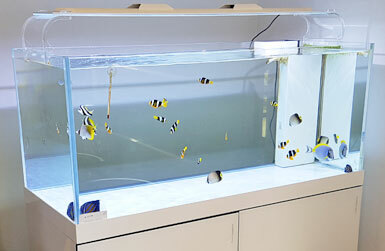 Cleair Aquatics offers beautiful aquariums for lease, complete with full maintenance packages. Call us to discuss your needs, location and what fish you’d like. We’ll do all the setup, the cleaning and any maintenance required.